Hollywood lifestyle and everything you should know about it! Hollywood lifestyle. The great city of extravagance, luxury, and opportunity. Every single person on the world dreams of living in Hollywood at some point in their lives. Living next-door to celebrities and rock stars is quite alluring. Moving to a place where every single famous person began their rise to fame can give everyone goosebumps. A great many places to live and visit, to see the history of cinematography, and to live in a neighborhood where Al Pacino lived before becoming famous. The sun is always up and the weather is always nice. All these things will make you want to move to the City of Angels. There are many neighborhoods in Hollywood for you to choose from, depending on your financial status. Although the average renting cost in Hollywood is around $2000, you can probably find a place to accommodate yourself and your family at a reasonable price. If you choose to live in more luxurious neighborhoods, such as Beverly Hills, the rent will be around $3000 or more, depending on the accommodation. You can also choose some less extravagant neighborhoods to lead a more simple, but not-so-quite life, because, in the City of Angels, everyone is always on the move. This city belongs to that group of cities where you can be surprised at every step. Tourist attractions are basically everywhere, and every street has something nice up its sleeve. Big palm trees are always around you, towering above many theaters, restaurants, hotels, and other places to visit. 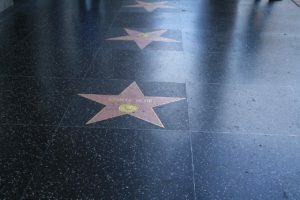 One of the first things that come to mind is the Walk of Fame, where every relevant person in cinema is featured on the sidewalk, with a big star next to their name. You may even see a new rising star being added to the plethora of names and stars that graced the big screen. You can also take walk on the rest of the Hollywood Boulevard, where the Walk of fame is situated, and visit many theaters, restaurants, and retail. The TCL Chinese Theater had also set down its roots there, famous for its Chinese design and decoration. Are you ready for some Hollywood lifestyle? Another one of the cities landmarks is the Hollywood sign. It is located up in the hills and can be a good recreational activity if you love hiking, with a trail leading to the Griffith Park Observatory. You can also pay a visit to the Sunset Strip, which is a place serving as the “connector” of the Beverly Hills and the Hollywood neighborhood. It is very crowded during every part of the day. It’s filled with nightclubs, retail stores and much more. If you are feeling sporty, you can go hike on the hills, which contain many hiking routes, especially around the Griffith Park Observatory. The most popular one leads to the Hollywood sign. Going to the beach is another great option to swim to your heart’s content. You can also rent a bike and ride it on the bike trail which extends across the whole beach line. If you are a sports fan, there are many sports organizations in the city. Some of these are Los Angeles Lakers, Los Angeles Clippers, Los Angeles Rams, Los Angeles Dodgers, and many more. They have one of the most famous sports arenas in the world, The Staples Center. Here you can get the chance to watch one of the teams with the most titles in NBA history. You can also get to see some of LeBron James’ magic while leading the young guns to their first championship. Hollywood lifestyle can be expensive. But, it doesn’t have to be. When you look at Hollywood, nothing can come to mind that will make you frown upon it. But not everything is always nice and dandy. Regular things will cost more just because it is in LA. Also, prepare yourself to use public transportation if you do not own a car. Very high population and density will make you arrive late to your destinations, so plan accordingly. Always plan ahead both for time organization, and also parking spaces if you own a car. Getting around on foot can surely be an exciting experience. Although, you will grow probably tired of it if you have to traverse a mile or two every day to work. Be prepared to be bombarded by street traders trying to sell their merchandise to unsuspecting newcomers. They can charge a hefty amount for something you can get for a much smaller price in a store. Many people come to Hollywood because they want to start their acting careers here. 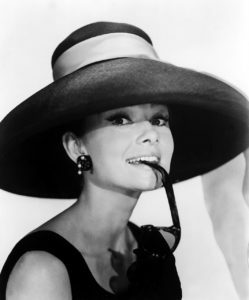 And – because of the Hollywood lifestyle. If you are one of them, prepare yourself for a fierce battle. There are many opportunities here, and that leads to a lot of competition. You have to try and find something special you are good at and work on it. This will surely make your auditions go smoother, and maybe even land you some good roles. Do not be scared of smaller roles such as commercials or being an extra. This is just the gateway to greater roles. Maybe someday, you will get a role alongside Ryan Gosling or any other current big celebrity. Moving to Hollywood can be the beginning of your new life, either as a star, or just a person looking for greater opportunities in one of the biggest cities in the world. You have to make sure to state your priorities because you can easily get lost in the glamorous way of life and lose your focus. Take a good look at your financial possibilities, contact verified real estate agencies, and hire a good, reliable moving company. All of this will make your move to Los Angeles a lot easier. When you get there, you are free to explore your unlimited options. Try to audition for an actor role, make a band, open a cafe, and even lesser-paying jobs are worthwhile in this city. This is because here, you can enjoy your life to its full extent. They do not call it the City of Opportunity for nothing. Walk of fame? Yes please!